A Land of Wild and dense forest. Assam…Rich, green land of rolling plains and dense forests, through which the mighty Brahmaputra charts its majestic course. A region of innumerable forests, where elephants and the one-horned rhinos roam. On either side of the river, throughout the Brahmaputra valley lie the tea gardens. 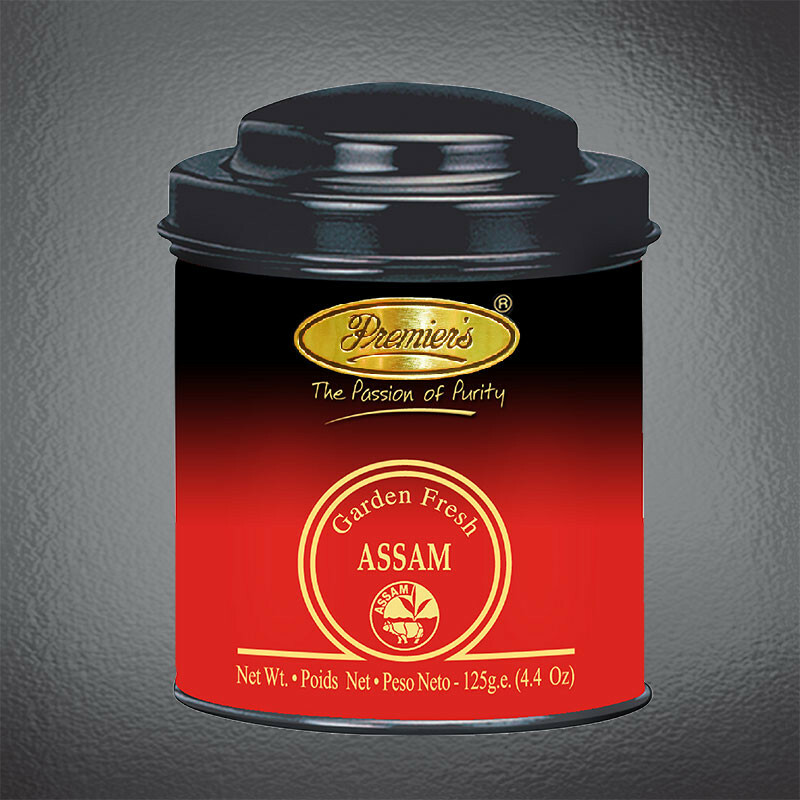 Assam tea is renowned for its rich, full bodied, bright liquor. For those who favour a strong cup of tea, Assam is the perfect choice. To be taken with/without milk or cream but with a dash of sweetener or honey to add punch. This renowned Tea is packed hygienically in colorful metal caddy , having easy to open airtight lid. Darjeeling… Nestled amidst the snow capped Himalayas. A land of mists and valleys. Between 600m to 2000m above sea level the hill slopes are covered with tea bushes. Darjeeling tea is cherished the world over for its exquisite bouquet and unique muscatel flavour. Indeed, this exclusive tea is held in such high esteem that it is referred to as the champagne of teas! To be taken straight, without milk or cream but with a dash sweetener or honey to add punch. This precious Tea is packed hygienically in colorful metal caddy, having easy to open airtight lid.